The quest to create a tricorder began many years ago, when such a device was but a figment of Gene Roddenberry's vivid imagination. However, his vision has crept ever closer to reality in recent years, with many researchers crafting devices capable of gathering human health data and the creation of an X Prize competition to spur further tricorder development. Scanadu is a company that's answered the X Prize bell and is aiming to bring just such a device to market by late next year for a mere $150. Called Scout, the tricorder is roughly two inches square and a half an inch thick and packs a rechargeable battery, IR , EEG and EKG scanners, plus an accelerometer, Bluetooth radio and a micro-USB port. That hardware, when combined with Scout's companion smartphone app can track a person's heart rate, breathing rate, body temperature, pulse transit (essentially systolic blood pressure) and blood oxygenation. To gather that data, users first must download the free Scout app and pair the tricorder hardware with their Android, iOS or BB7 handset via Bluetooth. Then it's simply a matter of pinching the device between their thumb and finger and holding it against their temple for ten seconds while the app takes the necessary readings. From there, the app can track your data over the long haul and provide an accurate picture of your health. 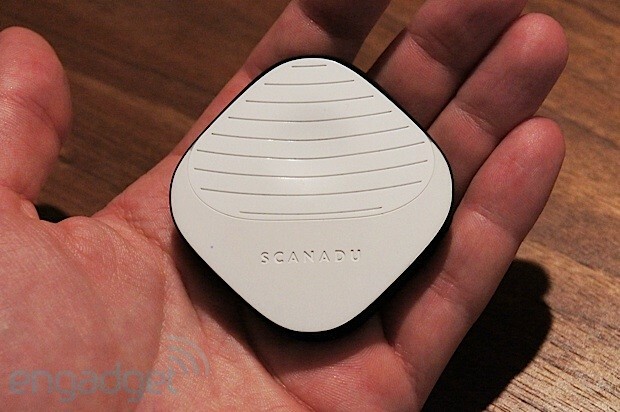 We had a chance to see functional and production Scout prototypes and to speak with Scanadu CEO Walter De Brouwer and Chief Medical Officer Dr. Alan Greene about Scout's development, so join us after the break for more.